Indiaplaza Blog For smart shoppers |: You don't have to go very far to taste divinity. Try our Alphonso mangoes today. You don't have to go very far to taste divinity. Try our Alphonso mangoes today. Available only in the summer season, all the 100-odd varieties of mangoes are equally relished, but the 'King of Mangoes' - The Alphonso, occupies the highest rank. Being the world's most widely eaten fresh fruit, and indisputably the most favorite fruit of Indians, the mango season always gets a warm welcome, for it is much awaited all year round. Described as the 'Food of the Gods' in the Vedas, the mango inarguably definitely is heavenly to consume! The Alphonso, or Aapoos, as it is called – the 'King of Mangoes' - is widely grown in the countrysides of Maharashtra and Gujurat, with the best qualities produced in the regions around Devgad and Taluka. From March to May, heralding the coming of summer, mangoes are the talk on the town, with its enticing, over-powering smell. No other fruit evokes the same response as the mango, when it hangs from its branch, waiting to be plucked under the scorching summer sun, ripening it into a handsome king. The mustachioed, baton-wielding security guards and barbed-wire fences protecting it make the mangoes more tempting than ever. The next thing anyone would want to do after breathing in the fresh smell of a ripe mango, would be to bite into it. 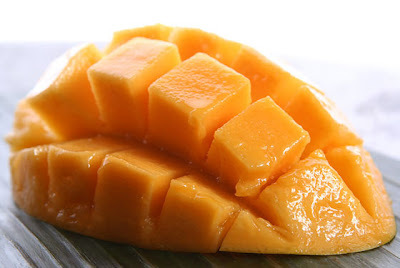 Or even, reading about the dainty and delectable mangoes should suffice to make people drool and yearn to experience the sensuous assault on the senses that the mango provides! Indiaplaza has an array of offers on the finest of Alphonso mangoes this season. We ship guaranteed A-grade premium alphonso mangoes, all selected and packed fresh from the orchards of Devgadh and Ratnagiri districts, each mango weighing between 225-250 grams when packed. We want to make sure that the Alphonso mangoes are at their best when it reaches you. Our logistics partners are entrusted with the job of delivering the boxes of Alphonso mangoes across India safe and secure across almost all major towns and cities in India. You are sure to receive organic Alphonso mangoes, cultivated and ripened without pesticides, chemicals or preservatives of any sort so as to maintain its divine purity. You are sure to get fresh, pulpy and sweet, mangoes with an unique aroma and flavour, when you buy mangoes online from us, as we use special packing to prevent fruit damage and are individually cushioned in foam nets and gift packed in attractive and sturdy 5-ply cartons. Each carton is strapped and sealed, making safe to be transported. Surrender to the king of the fruits. Order a carton right away and enjoy the exhilarating experience as you savor them, and discover the magic of the Alphonsos. Buy a box of Alphonso mangoes online and send them as gifts to friends and family. With this hassle-free option, it is certainly very simple to buy and send quality Alphonso mangoes to your loved ones.